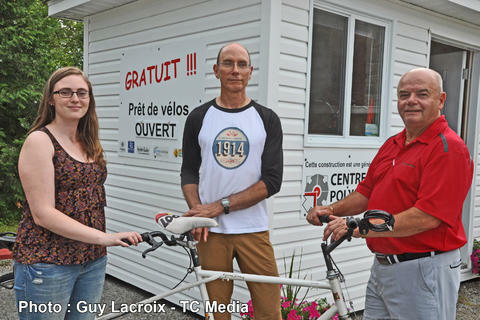 Located in a rural environment near lac Beauchamp, at about 10 km from Amos, Accès Vélo, in collaboration with Camp Spirit Lake Interpretive Center, lends quality bicycles for the entire family: bicycles for adults, children and persons with reduced mobility; tandem bicycles; trailers; and tow bars. Immediate access to a cycling trail linking Camp Spirit Lake with Domaine St-Viateur, the Arboretum and Camping municipal d’Amos. Security deposit of $ 20.